The Difficult Second Movie - HARRY POTTER AND THE CHAMBER OF SECRETS | Warped Factor - Words in the Key of Geek. 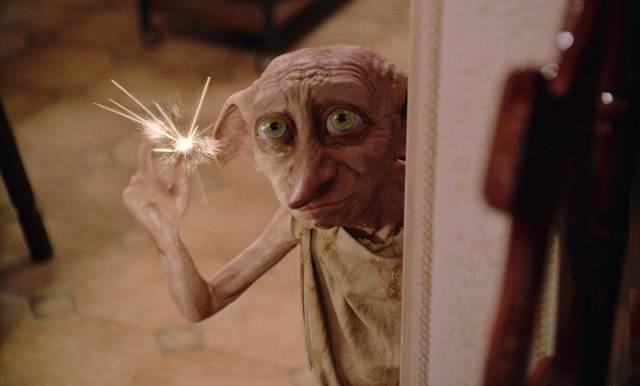 Sock in hand, Andy Markham looks back at the second Harry Potter movie. In 2001, Harry Potter and the Philosopher's Stone became an instant phenomenon. The already hugely popular book series was catapulted into the public consciousness by the success of the film, and Harry Potter rapidly transformed into a landmark series for the fantasy genre. With the film rolling in the dollars by the second and with six further books ripe for adaptation, one thought seemed to occur to everyone almost instantly... when's the next one coming out? Speaking more practically, it was always a pressing concern that the young and adorable cast of the films would outgrow their roles if there was too much of a gap between films. With six books still to film and the cast growing up with every passing moment - you can even notice it throughout Philosopher's Stone - there was no time to lose in hitting this bizarre cosmic "deadline" of adulthood, by which time the story had to be complete. With all this taken into account, the production team took the astonishing decision to release the second Harry Potter film just one year after the first, working in real time with the characters and actors' lives. Not since the early Bond films had any British film - or indeed any film at all on this scale - attempted such a rapid turnaround for a sequel. It's pretty impressive indeed that they got a decent, solid film made from start to finish in such a short period of time. However, the big problem with The Chamber of Secrets is that it was rushed - and it shows. I'll give you a gold star if you can name any scene from The Chamber of Secrets which doesn't re-use some element of the previous film to make life easier. Sets are revisited in almost every scene, shots are repeated from Philosopher's Stone almost exactly, and John Williams' score is as bare-bones as it gets, largely carried right over cue by cue from the first film and re-assembled in a new order. The great sacrifice that comes from producing a film on such a ruthless assembly line as this is that creativity inevitably suffers. 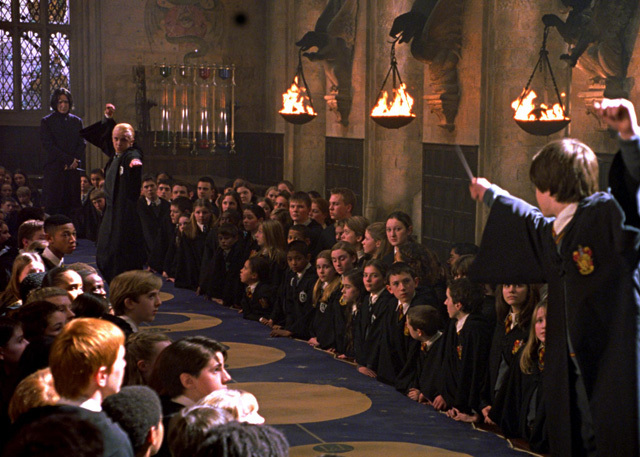 Scenes that could have taken place anywhere are moved into the Great Hall or the staircase, as the sets are already standing. Lines spoken by obscure characters are given to familiar characters who don't need to film an introduction scene. And if in doubt, throw in an establishing shot of Hogwarts! I dare you to down a shot every time one of those appears - you'll have quite a night. (Disclaimer: Warped Factor does not encourage cinematography-related binge drinking). Most constrained of all, however, is the script. It's usually the case that aside from filming itself, writing the script will be the most time-consuming and painstaking part of the movie-making process - after all, you can't go ahead without it and expect to make anything decent (take note, Quantum of Solace). Fortunately, screenwriter Steve Kloves had a handy help to make this script a little easier - the book, of course! Now, I'm not even remotely implying that writing an adaptation is easier than writing something original - that's not true at all. But it is true that it can make a writer somewhat lazier, and less keen to think outside the box. That's the trap that Kloves falls into - he adapts so faithfully that it's almost ridiculous. Whole scenes, whole chapters even, appear word for word how they are in the book. The eventual result is that director Chris Columbus ended up not making a movie representation of a book - instead, he simply filmed the book. That may sound like great news to Harry Potter fans - virtually nothing is cut and all the moments you wanted to see are going to be there on the screen. But it isn't good news. Books and films are very, very different mediums. 251 pages of plot in a book may sound short, but when nothing is cut from those pages, that results in a mammoth 165-minute film - the longest by far of the Harry Potter series. The leisurely pace and gradual build of the book doesn't suit the family movie genre at all - while it's fine to spend the first five or six chapters of the book catching up with our characters and setting the stage for a new story, it's not okay for this film to take 45 minutes before the plot begins properly. However, I can't be too harsh with this point as none of this is deliberate. There are efforts made to continue building the world of Harry Potter, and there are some very memorable and very important new characters, places and ideas introduced in this film. As much as Kloves is hesitant to tamper with the book, it does mean that he is faithful where it counts - and brilliant new additions such as Kenneth Branagh and Jason Isaacs really get their room to breathe and settle into the cast. And speaking of the cast, as became commonplace for the series, everyone is on great form. The likes of Alan Rickman and Maggie Smith are highly settled in their roles this time around and their characters of Snape and McGonagall just leap out of the page onto the screen effortlessly. 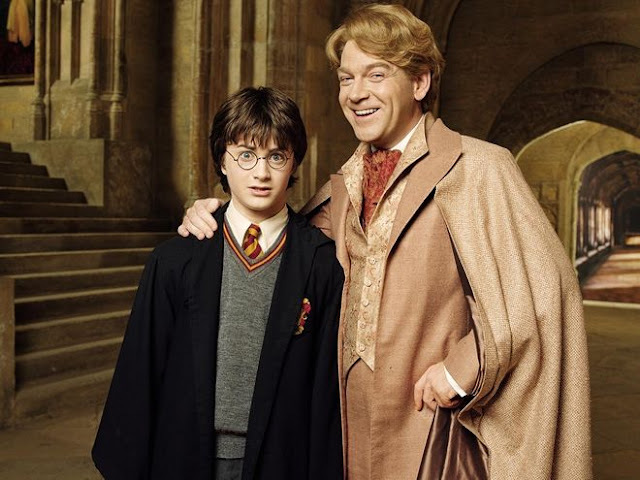 Again, Kenneth Branagh is marvellous as Gilderoy Lockhart, who only appears in this film but really makes the most of it. Most memorable of all, however, is the unintentional final performance of Richard Harris, who once again plays the perfect Dumbledore, and leaves a beautiful legacy. Most importantly, the fiercely beating heart of the Harry Potter world is as strong as ever, with the inescapable sentimentality and warmth of the first film re-captured with ease. Although the length of the film can sap the energy away, it's hard to entirely lose patience when there are so many enjoyable moments on display. The very last scene, coming after an arduous and painfully talky epilogue in Dumbledore's office, is an absolute triumph. 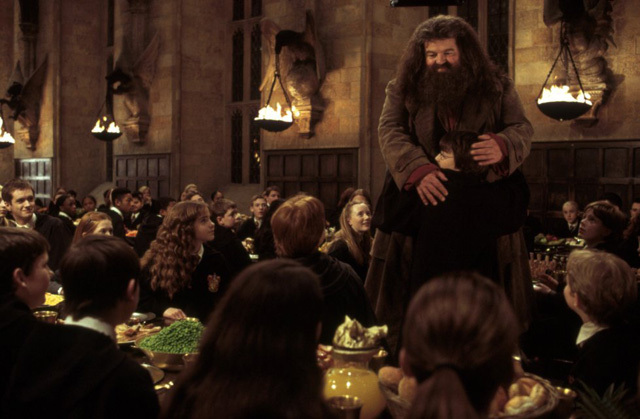 The simple moment where the gathered students and staff of Hogwarts applaud the return of Hagrid, and the love he and Harry have for each other, to the tune of Williams' incredible, spine-tingling "Reunion of Friends" provides the film with an unexpectedly moving and truly rousing climax. So it is then that Harry Potter and the Chamber of Secrets is not a failure - indeed, it does very well at what it sets out to do. It's just a shame that those involved didn't use the time or the imagination that they could have done to create something truly special. 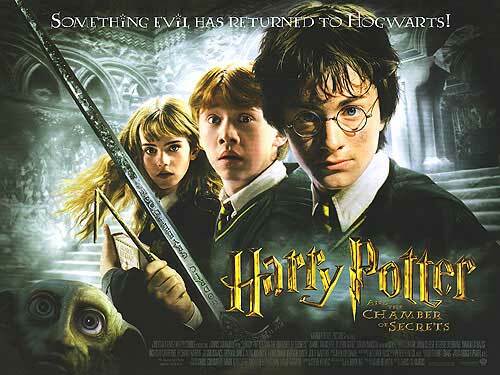 Although Harry Potter and the Chamber of Secrets is a good film (to be fair, are any of them genuinely bad films? ), it is certainly the one that stands out the least and blends into the pack most noticeably - which, for a film which has such a rich world to explore, is disappointing, especially when compared with the bold and ambitious creativity of the next instalment, Harry Potter and the Prisoner of Azkaban, generally seen as one of the very best in the series. It's not a film I have the patience to watch very often, true. And it's probably my least favourite of the bunch, sure. But it's as solid and adequate as any film with a 12-month production cycle could ever be, and as I'm sure many will agree, it's hard not to enjoy a film that features an angry red envelope screaming with the voice of Julie Walters.